The Indian Institutes of Technology, IITs, are the flagships of Indian engineering education. Getting into an IIT is the dream of every aspiring engineer in India, and each year over a million people take the entrance exam. But competition is fierce: with only 10.000 (2%) passing the exam, the IITs are among the institutes with the lowest acceptance rate worldwide. Virtual classrooms have been developed to facilitate newly developed IIT institutions by mentor IITs, using the NKN high bandwidth/low latency network. In recent years, the number of IITs has increased from originally 5 to 18, due to a government policy of promoting growth through investment in higher education. The Virtual Classroom, an application for e-Learning running on the Indian National Knowledge Network infrastructure, is one of the key technologies to further this expansion of technical education. This infrastructure facilitates quality education and research at national level, interconnecting premier institutions and students transcending state and district boundaries. This is especially significant in a country like India, where access to education is limited by factors such as geography and lack of infrastructure facilities. 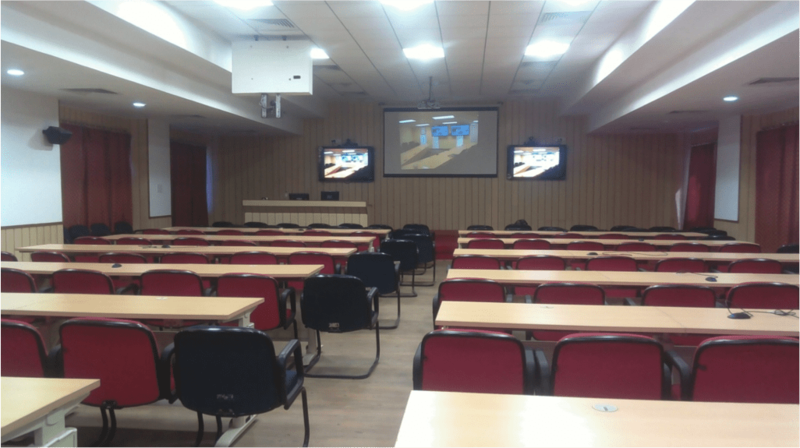 The Virtual Classroom project has required the creation of high definition video conferencing virtual classrooms at 15 IITs. The project goal is the setting up of three virtual classrooms at each of the IITs, resulting in 45 virtual classrooms in total. In addition to the Countrywide Virtual Classroom project, the National Programme of Technology Enhanced Learning (NPTEL) provides e-Learning through online web and video courses in engineering, sciences and humanities. The mission of NPTEL is to enhance the quality of engineering education in India by providing free online courseware.